South Carolina cop who shot and killed Walter Scott granted bail due to delay in trial. Michael Slager is lead into court for a bond hearing at the Charleston County Court House on Sept. 10, 2015. A South Carolina judge granted bail Monday to the former North Charleston police officer who was caught on video shooting and killing unarmed Walter Scott in April as the 50-year-old black man was running away from the officer. Michael Slager was arrested three days after the killing, charged with murder on April 8 for what started as a routine traffic stop, and denied bail. The 34-year-old white officer has been in jail ever since awaiting trial, but Circuit Judge Clifton Newman granted bail Monday with the condition that Slager be held under house arrest because of a delay in the trial. “The decision was met with gasps from Scott’s family and with tears from Michael Slager’s wife and parents, who appeared together for the first time in the downtown Charleston courtroom,” the Post and Courier reports. 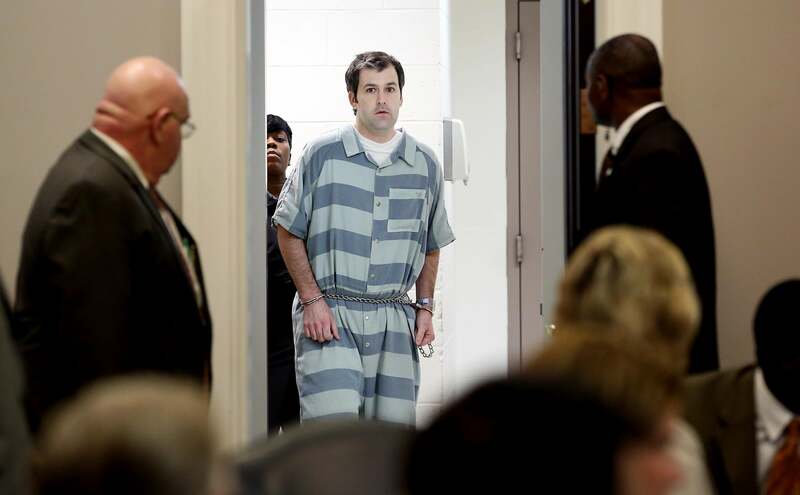 Newman initially denied Slager bond in September, but reconsidered. Slager’s trial is scheduled for Oct. 31, almost a full year-and-a-half after he was arrested and charged, in order to accommodate the trial of Dylann Roof in June for the mass shooting at Emanuel African Methodist Episcopal Church. Ninth Circuit Solicitor Scarlett Wilson is the lead prosecutor in both cases. Slager’s attorneys argued his detention threatened his right to a speedy trial. Newman expressed concern that the length of time Slager would be held before trial appeared to constitute punishment of the defendant, who was still presumed innocent by the court. The prosecutors have declined to seek the death penalty in the case and Slager faces a minimum of 30 years in prison if convicted.